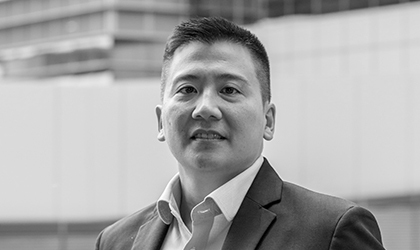 Yoon Kit was in the Information Technology industry for 14 years, eventually leading the Group IT for a multinational manufacturing company. His expertise in software development, creative problem solving, logic and analysis, project management, customer management and a rigorous interactive development cycle has translated well in transforming processes for governments and businesses alike. His involvement with government transformation work began in 2010 where he oversaw Business Services, Communications Content & Infrastructure, Electrical & Electronics, Healthcare, Tourism and Wholesale & Retail National Key Economic Areas for the Government’s National Transformation Programme. Yoon Kit has been with PEMANDU since 2010. For over 8 years, Yoon Kit was the Vice Chairman for the ICT & Multimedia committee for the Federation of Malaysian Manufacturers (FMM), an organisation representing over 3,000 manufacturing and industrial service companies in Malaysia. He currently is a member of FMM’s Industry 4.0 committee. In addition, he was previously a council member for the Malaysian National Computer Confederation (MNCC) and continues to participate in various standards-setting bodies with the Standard and Industrial Research Institute of Malaysia (SIRIM). He was also the founding Vice Chair of the Malaysian chapter of the Internet Society. Yoon Kit read Information Systems Engineering from Imperial College, London. Yoon Kit brings in 14 years of experience from the Information Technology industry – overseeing various sectors for the National Transformation Programme such as Business Services, Communications Content & Infrastructure, Electrical & Electronics, Healthcare, Tourism and Wholesale & Retail National Key Economic Areas.